From on the re-make of the Horror classic this brand new Jason figure stands 19" tall. 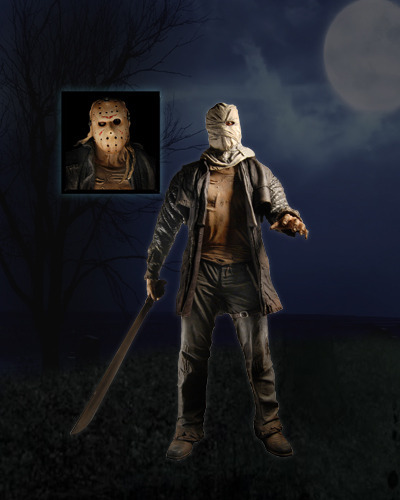 Jason comes with 2 interchangeable heads and a machete that can be slid in out of a sheath on Jason's left leg. The figure is incredibly detailed and is based on his new look. Ball jointed neck and shoulders and swivel forearms, wrists and waist.